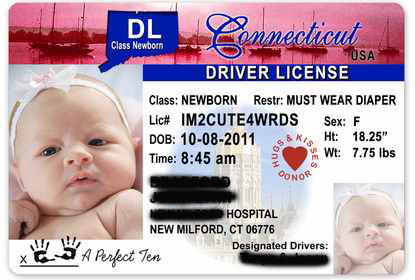 I need to renew my Connecticut Driver's License. The last time I did this all I needed to do was bring my current license and the fee. I then had my picture taken and Voila! I had a new Drivers License! Now I need to bring my state verified birth certificate, current drivers license, social security card, and two computer generated bills with my current address. What has happened? Is my identity really in doubt? Oh well, I have all that stuff so I am good to go, but it seems like a lot of foolishness to me. Just a thought. What will I need next time I renew? Proof of DNA? Life is very interesting. I just have to think of what people who don't have all the documentation in hand must go through.